Moving to a new place can be tough. Being the new kid at school is hard and becoming the “new guy” in the office can give you social anxieties. And it’s not just humans that can face these dilemmas. Animals too, in fact, one blind elephant knows all too well how a change of scenery can be nerve-racking. Elephants are known for being incredibly social and empathetic creatures. But for some, meeting new people can still be a pretty tough challenge to face. Especially when you’ve got the odds stacked against you. Ploy Thong is blind in both eyes and used to work as a tourist transport elephant in Thailand. She would start her work in the early morning and walk along the paths until sunset. She found her way around town by sniffing the ground with her trunk. Ploy Thong did this for 16 years! Before that, she was in the circus. The Save Elephant Foundation found Ploy Thong and immediately began on working to free her. Though they knew a blind elephant could be a difficult challenge, they weren’t going to just sit back and abandon the poor creature. Thankfully, the team managed to rescue Ploy Thong. 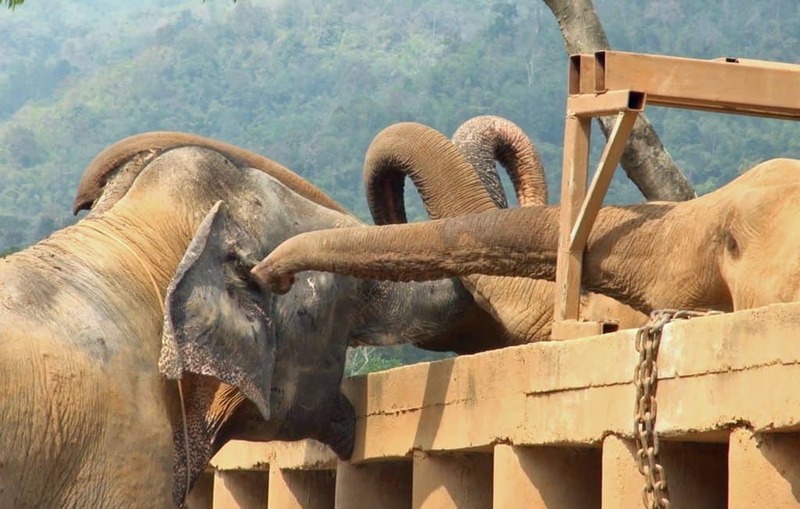 The team worked tirelessly to transport her to the Elephant Nature Park in Chiang Mai. Naturally, the blind elephant was a little apprehensive about boarding the truck. Save Elephant Foundation is a nonprofit organization that provides “care and assistance to Thailand’s captive elephant population”. The Elephant Nature Park is home to around 35 elephants. 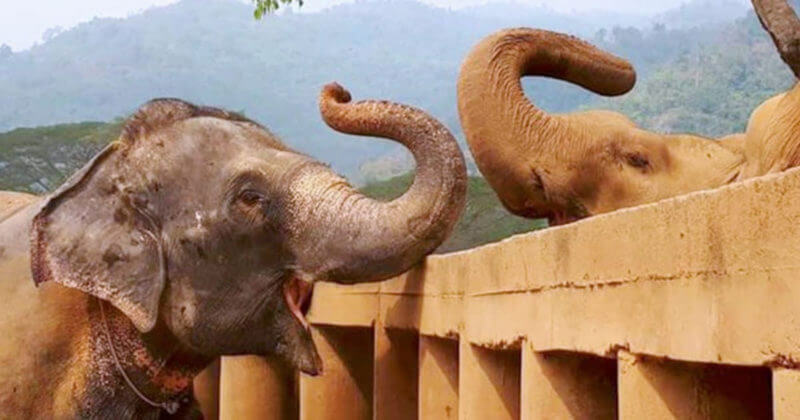 Tourists can visit the elephants and help bath and feed them. However, no elephants perform for the tourists and no elephants can be ridden. The ENP is a safe haven for elephants that have lived in bad habitats or used to work for the tourism industry. When Ploy Thong arrived, she let out a series of low vocalizations to announce herself. The calls attracted the attention of other elephants who came over to greet her. 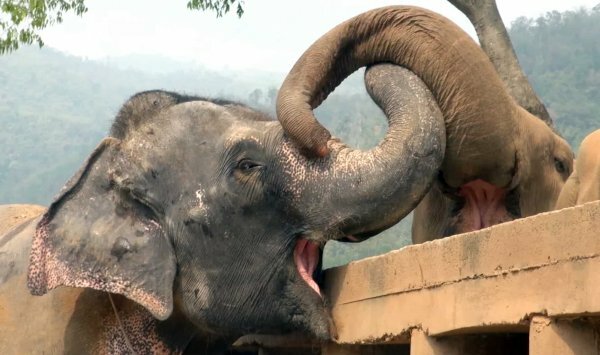 Don’t forget to watch this blind elephant make new friends after she’s rescued in the video below. Also, we love hearing all of your opinions. So please let us know what you thought of the article in the comment section.